The location is perfect for exploring Sydney. The house is large and comfy, a great base for the family! The host was friendly & responsive. Will be back. 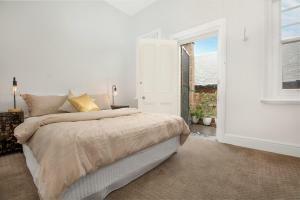 Close to all eateries, circular quay and shopping. House was clean and roomy. Like the option of being able to sit on the balcony on both sides of the house. The location was great, and the convenience store next door was handy. Location is surprisingly good but it is very noisy. Amy was awesome and really accommodating and co-ordinated an early checkin. The location was amazing. 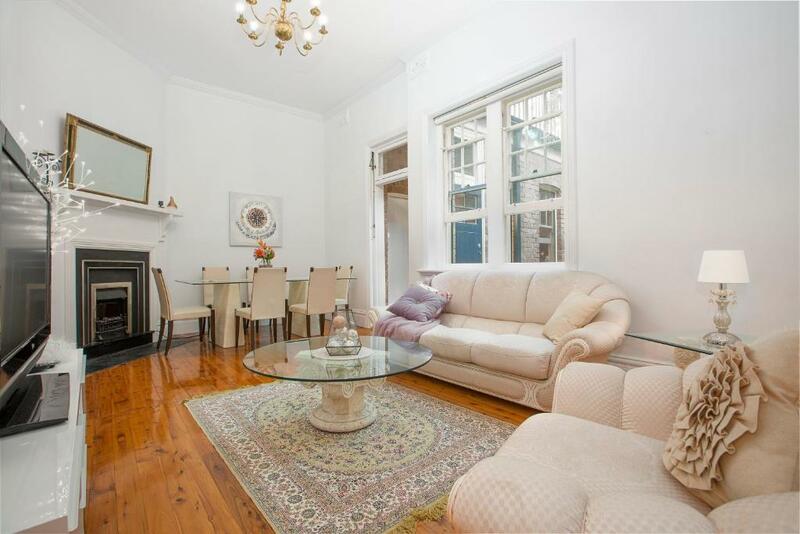 Close to Circular Quay, restaurants, pubs and more. 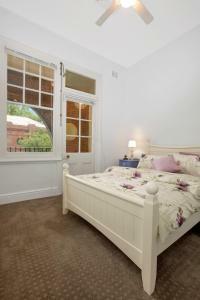 The house was a great layout with a nice verandah, spacious rooms, nice kitchen. Easy to get there, easy access everywhere, the host was so nice, very clean. Clearly recommend it. 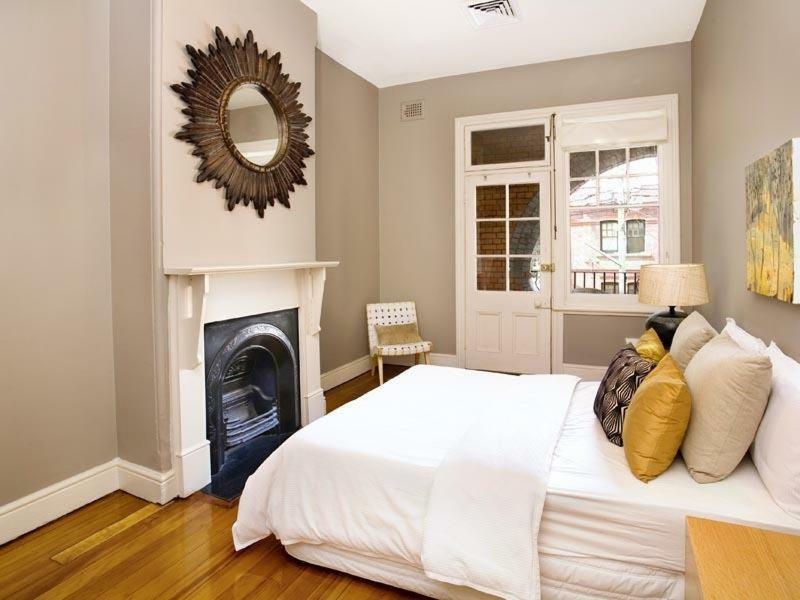 Our party of 5 adults loved our stay in this historic part of Sydney. Lovely to be able to stay in this character-filled house instead of a generic hotel. The location was fabulous. Easy walk to the Opera House and Sydney Harbour Bridge. Across road was a lovely historic hotel. Convenience store next door and brilliant cafe on next corner. Three bedrooms, great kitchen. Nice balcony with glimpse of bridge upstairs at front of house and smallish outside sitting area at back with afternoon sun. Good location. The upstairs balcony is a nice place to sit on a sunny morning. 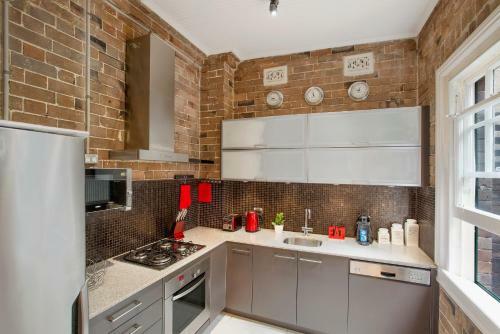 The kitchen is the best space in the house. 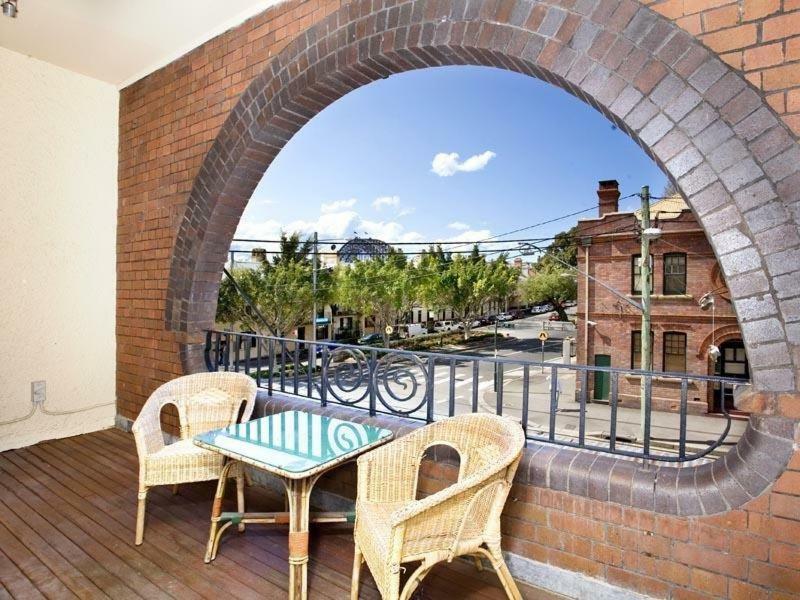 One of our top picks in Sydney.Set in Sydney, this beautiful, historic 3-bedroom terrace house offers views of the famous Sydney Harbor Bridge from the main balcony. Free WiFi is provided. Sydney Heritage House at The Rocks is surrounded by cafes and restaurants. It is 0.7 mi from the Sydney Opera House. The nearest airport is Sydney Airport, 5.6 mi from the property. 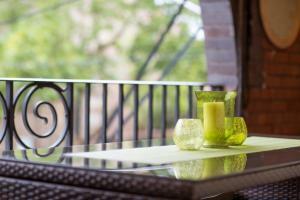 The townhouse offers 1.5 bathrooms, free cable TV and a fully equipped kitchen. There is heating, air-conditioning and ceiling fans as well as an internal laundry with both a washing machine and a tumble dryer. When would you like to stay at Sydney Heritage House at The Rocks? This holiday home has a balcony, view and electric kettle. 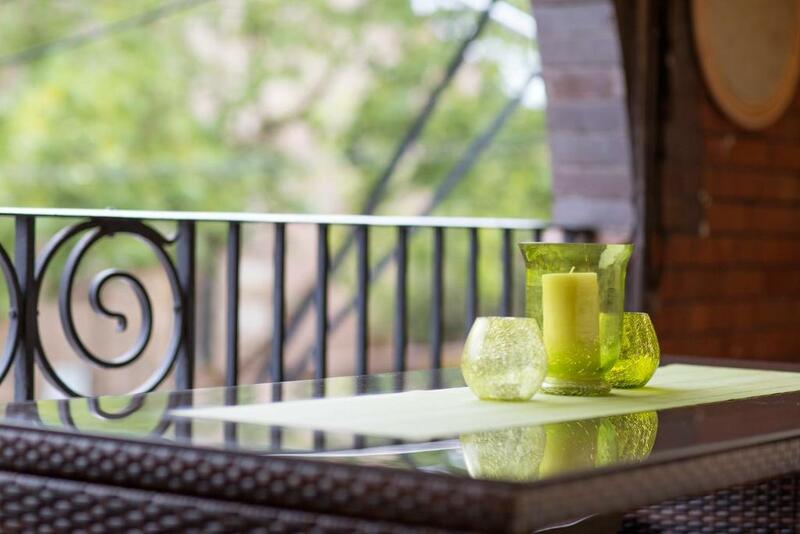 House Rules Sydney Heritage House at The Rocks takes special requests – add in the next step! Sydney Heritage House at The Rocks accepts these cards and reserves the right to temporarily hold an amount prior to arrival. 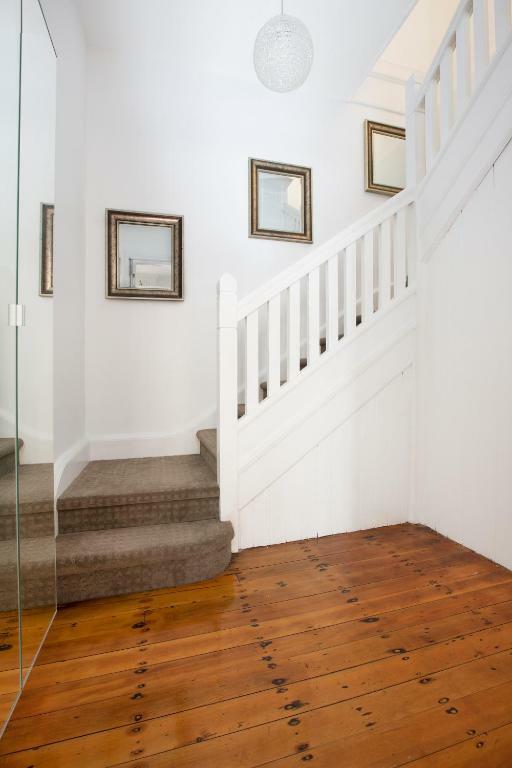 Please inform Sydney Heritage House at The Rocks of your expected arrival time in advance. You can use the Special Requests box when booking, or contact the property directly using the contact details in your confirmation. The property was dirty,lots leaves at the front door that blew in on arrival - had just been serviced 30mins prior , table on the balcony was filthy, kitchen range hood covered in grease, womens long hair in the bed,lounge was really not comfortable at all when you have 5 people , no coffee plunger or coffee pot , garbage bins were full from the last guests, wifi is so weak , you need to spend some money to improve the property ... could be a lot better. You don’t list the street number .... so the map on booking.com shows it’s near the Langham Hotel not all the way at Argyle st.
Allissa was helpful and the location was great. 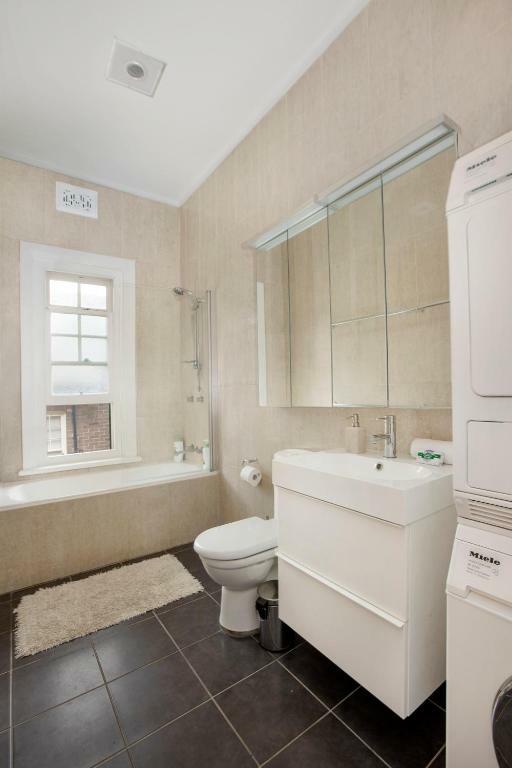 Where to start... the cleaner needs to discover Exit mould... the bathroom was disgusting, plus you are on show for the neighbours when in the shower. The 'half bath' is an out door toilet... stunk from outside so we didn't even open that door. The beds were so soft, noisy and uncomfortable that no one slept for the entire time.... not to mention that the single bed didn't exist as advertised. The place is freezing downstairs... partly caused by the fact that the back door doesn't even shut except for an added top bolt. The kitchen smelt revolting...although was clean enough. The coffee mugs were dirty and unusable. The tiny heater supplied for down stairs is completely inadequate and upstairs was uncomfortably hot and stuffy once the heating was switched on no matter the setting. Allissa our host was lovely, but to come late at night on a freezing wet night and pull the bin right through the lounge where we were sitting to put out the front, leaving a trail of water and the smell was unbareable, not to mention made the place freezing again.... completely inappropriate and should have been done during the day as requested. The street noise was unbareable all night, and i advise anyone looking at this place to run a mile. The host would not respond by phone or email. Access to keys poor. 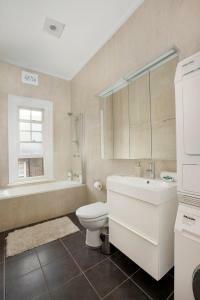 1.5 bathrooms included an outside toilet which was not stated. Almost no toilet paper, no shower soap, dishwasher powder etc. House unclean. Opened condom packet under a bed. Linen was worn out. Kitchen not well equipped. Aircon poor. and only works upstairs. Downstairs was very cold. The stairs were dangerous with only a partial handrail. Wifi unreliable. Many lights did not work. The place reeked of cigarette smoke which contaminated all our clothing and bags. The house is old and needs major upgrading. It represents very bad value for money and is not recommended. Overall, unpleasant experience and a waste of money. I had understood one room had 1 double and 2 single beds but there were no single beds, although extra bedding in cupboard. As a result my two 14 year old granddaughters each had to share a bed with their fathers! Not ideal but no-one was too upset. Felt dirty - there was debris under sofa cushions, rips in furniture and the mattresses were terrible. Wifi didn’t work. Owners need to invest more in keeping place presentable. Photos weren't representative of this actual property. It could have been cleaner. Crockery was dirty, rug was dirty. One of the beds was described as a double bed, but at 5'10" I had to lay diagonally to fit, so 2nd person slept on the floor. Other two double beds were fine though. Couch was tattered and grubby, and for the money we spent per night, I expected better quality. We are a family of 6 and the bed is quite small for 2 people in every room. The bed is too soft. The house is old style and quiet. Bed in 3rd bedroom a little uncomfortable.